Dynamic Accents Highlander Series EZ Gate is 32'' Tall with a folding ''Z'' design that allows the gate to stand freely without any wall attachment and folds flat for convenient storage or transport. 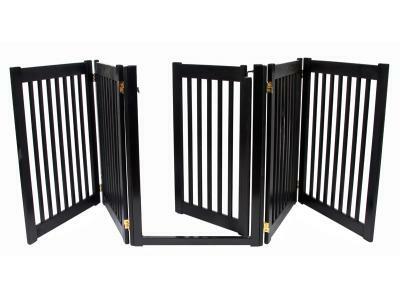 The 5 Panel EZ Gate is designed to easily confine pets to certain areas of the home yet provide a convenient walk-through door for easy passage from one area to another. Top quality, handcrafted mortise and tenon hardwood panels, combined with a welded steel frame ensure lasting durability for this highly functional pet gate. Panels are 32'' (H) x 24'' (W) - This gate is capable of spanning areas up to 9' making it ideal in open floor plan homes. 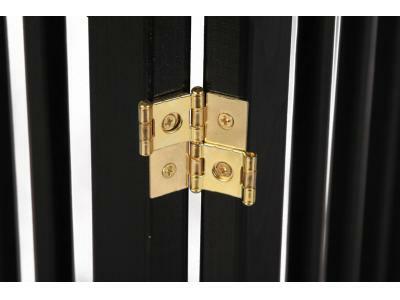 Easy to open door, swings through in both directions and securely latches shut at both the top and bottom of the door. We use the gate to keep our schnauzers in the kitchen when we are at work. It is a great gate, but should be made out of something less chewable. One dog has been chewing on the bars It looks like we own a wood chuck. We are very happy with this gate for our 6 month shepherd/vizsla mix. She is very frisky, but thus far she has not challenged the gate or tried to nose around it. Sales Innovations and Dynamic Accents were both very accommodating when we ordered the cherry gate, found that color to be too light, and wanted to exchange it for a black one. I'm very glad we made this purchase, and this was the best price I was able to find. I bought the 5 panel free standing mahogany gate for a large entry way separating the kitchen from the living area. I have two Greyhound girls who both respect barrier boundaries. 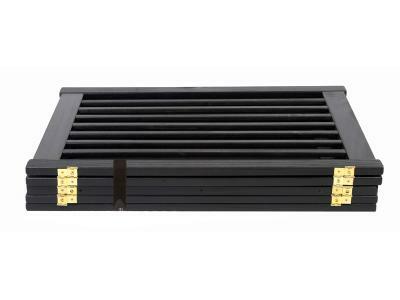 I will say the quality of the gate is superior and very rich looking. 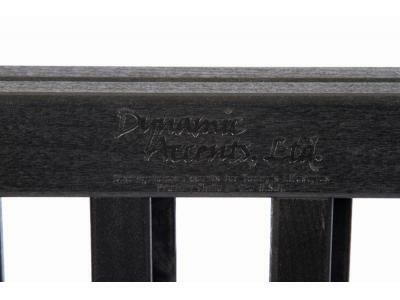 Attractive and sturdy. I would highly recommend to anyone with dogs who respect boundaries. Service and shipping was a pleasure! Would shop here again. We bought this about a month ago and expect it to last a life time.